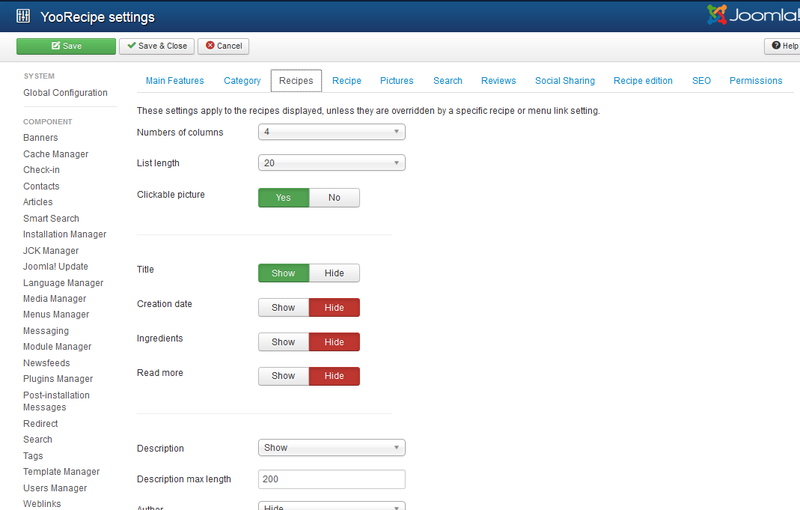 NS Recipe comes with pre-defined blog layouts. 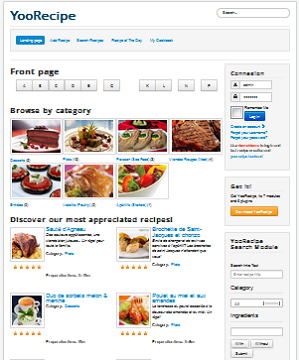 A blog layout is a menu item page, or a component view, that displays more than one recipe. Example: most read recipes, latest recipes, favourites recipes, etc. You can select the layout to use in Component settings. The number of recipes per line. The maximum number of recipes displayed per page. Toggle clickable pictures. Brings the user to the recipe page. Toggle a "Read More" link. 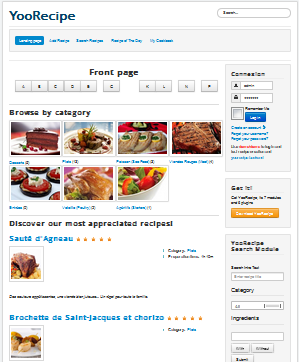 All other fields control the display of a recipe field (author, number of views, difficulty, category, cost, rating, preparation time, seasons, etc. ).